Listen to Your Heart is completed. 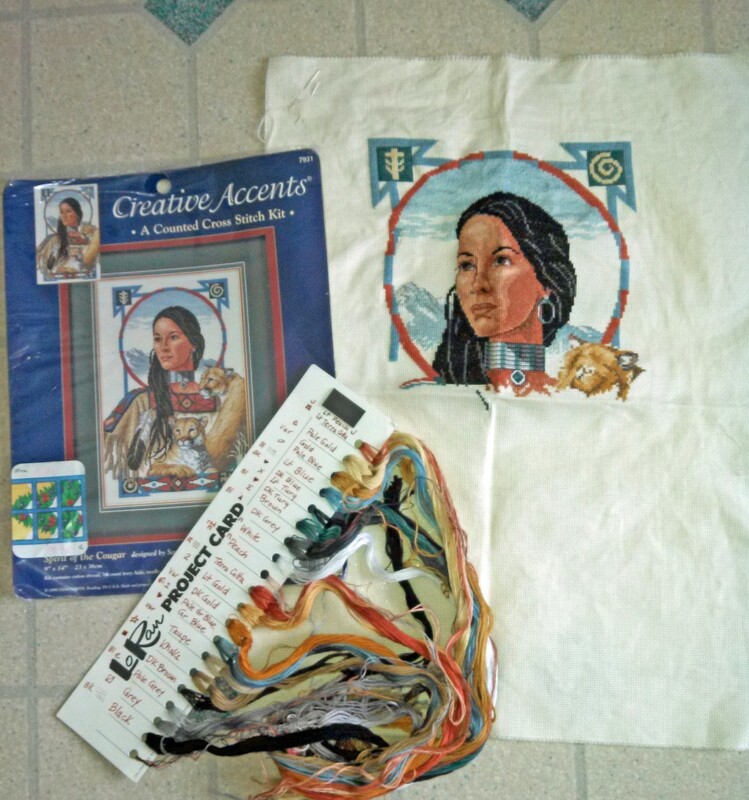 I pulled the project out of my cross stitch WIP box, and concluded that I was done. I decided that the lettering on the pattern was not what I was after, and I reworked it with a simple “This is the Day” phrase. Now – for framing. This is the hardest part of cross stitch for me. I am terrible at coordinating colors and mats, and usually don’t get much help from the folks at the frame shop. This project is nearly complete, except for the lettering and a little outlining (and finishing the fabric, and matting, and framing). I like the collage and “natural” feel to this piece. The copyright date on this piece is 2001, so I’ve probably been working on it for 10 years – exclusively at continuing ed seminars. 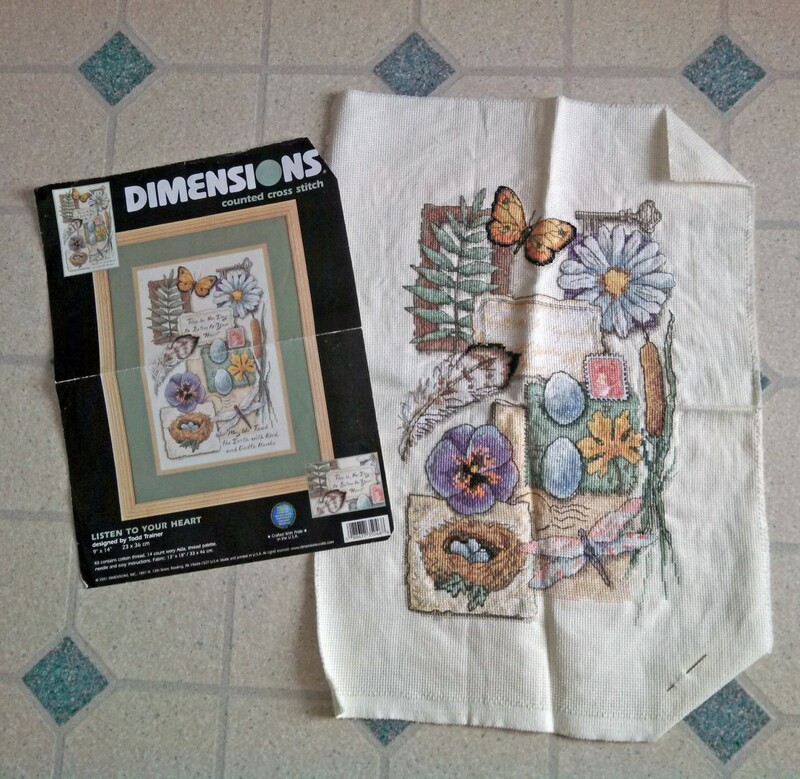 Possibly one of the most difficult cross stitch projects I’ve worked on. Very slow-going, since I only bring it out a handful of times each year. I think it will be beautiful, when completed (sometime in my lifetime, I hope). 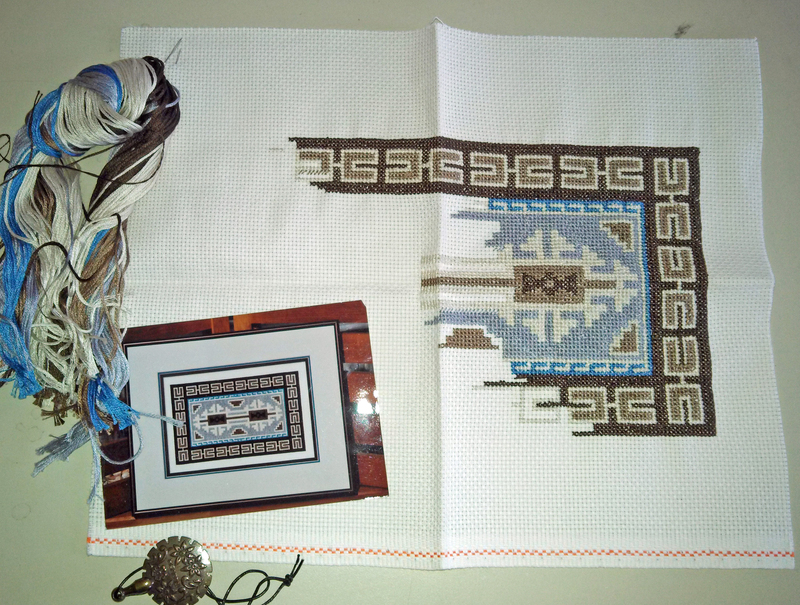 Another Cross Stitch Update – Yes, this is a KNITTING blog, but since I also like cross stitch (though I don’t spend much time at it), this is an opportunity for me to watch my progress on that front, too. Status as of December, 2014, law seminar, which is when I usually work this piece. Helps me focus on the speakers and keeps me from being wiggly in the uncomfortable seats of the conference halls. Below are two previous photos – both from 2013, so it’s been a while since I’ve updated this project, and progress is slow. The center fold is about the half-way point for the image.